Winding down the sembreak. Back to the grind in a couple of hours. Today is the final day of the semestral break which began three weeks ago. Well, it was an eventful one. From going home to the province to catch some cool air, to going out watching a basketball game live. From playing basketball with some of my friends to the ever feared release of the grades from the last semester. From the end of the college basketball season to the start of a new NBA season. From lazy days at home to active mornings playing hoops every morning, and a lot of other happenings this semestral break. Unfortunately, there was one thing that I was unable to do during the semestral break, and that was to try out NBA 2K13. I installed it successfully on my PC. Unfortunately, the game never played. It turned out the OS I’m using is not up to date and cannot carry the game. Well, I wanted to try it out on a computer shop. Then again, most of the time I was broke all vacation long due to the fact I don’t get allowance (when I get some to go out, it’s spent right away). Well I should learn saving money. One day, I’ll finally get to try the game. I really wanted to use the Houston Rockets with James Harden aboard once I get the chance. Well in a few hours, it’s back to the grind of going back to school to continue my España journey. Well, on the first day. It happened that we only have one class since most of my classes in the morning will be cut to make way for a faculty meeting prior to the start of the year. This year, I’m aiming for a comeback. Easier said than done, but I’m all in and ready to bring everything I have. It will be a challenging semester for sure. Still, we need to stay positive and find fun in tough situations. I hope I can make the best of this coming semester, because right now, I need a good one this semester. I cannot wait to see all of my friends at school. The journey continues, the return begins. Yes as you may know and see on most of my blog posts. I always talk about basketball. Well, basketball is my favorite sport as stated in my previous blog entry from last April (Me and my basketball. We take it all the way. ),when I have free time, I always take to the basketball court and work on my skills. I have come a long way from the time I started playing basketball when I was a little kid. The semestral break has given me the time to get out every morning to play basketball and do some jogging afterwards. Playing a sport is a good exercise. Especially I badly need to get activity going into my body system. Today, I played basketball at the UP Gym with a few of my friends from my high school troupe, it’s the first time we played basketball again after we graduated three years back. Unfortunately, not every one were able to come due to other commitments. We spent a good portion of more than 2 hours inside the gym. I’m impressed that my friends improved their basketball skills from the last time we played together. I played my best, even my friends saw a bit of change from me since the last time we played. Unfortunately, it wasn’t a smooth ride for me. I “flamed” out and was not able to put my best effort in the ballgame. My shots weren’t falling and I was playing bad defense. Well, fatigue is my worst enemy when playing the game. I always get exhausted quickly. So whenever we play a regular game I would like to come off the bench and not play as a starter. Still, I would like to thank my friends JL, Gelo, Baña, Josh, Hansel (Gelo’s classmate) and JC (Josh’s friend) for spending the afternoon playing hoops. I hope the next time we play hoops, the whole troupe will be there. For now, it’s back to the drawing board for me, and I’ll be back on the court soon to practice and improve my skills once again. Playing for the love of the game. The toughest one yet. Aiming for a comeback. 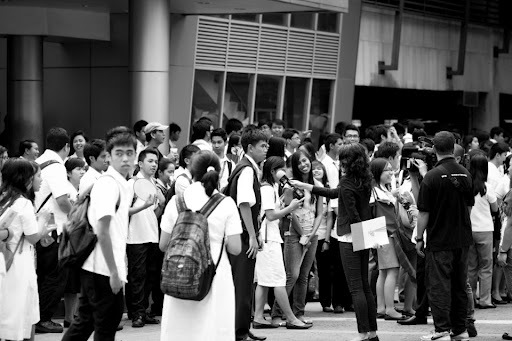 Yesterday, the “mad scramble“ rolled along as thousands of Thomasian students took to their computer sets to check on their grades for the 1st semester of AY 2012-13 on the myUSTe Portal. Some students stayed up well into the night of Friday until the early hours of yesterday to check on the grades. For the next 12 or so hours, there were no updates of the grades. At around 1:00 pm, the first round of students were able to check on their grades. Unlike the previous semester, where access was relatively smooth. It was a mixed theme this semester, for some people were able to access quicker than others. Some had to wait for a long time before they get their chance on the site. Generally, my friends had positive outlooks on their grades. Some excelled, while others were happy they made it through. However, there were some who had a difficult time in dealing with their grades. As for me, well it was a case of “Thank God! I survived!“. Well because, I did not return to the Dean’s List for a second consecutive semester and this was the lowest semestral average I got in my last five semesters in UST. Yet despite those setbacks, I never failed any subject thus I keep my status as a regular student. I have not tasted a grade of 3.0 (on-the-nose passed) so far in any of the subjects I have taken, and I’m still in the running to graduate with honors. I admit, this semester was the toughest one so far in my España journey. Because it came to a point where I almost failed a couple of subjects, and the fact that the semester tested me both on and off the classroom. A notable happening was when I played the role of a “Devil‘s Adovcate” in the conceptualization of our event for one of our subjects where I got into arguments with my blockmates and to points during the whole process that tested each and every one of us to the limit. Yet despite these things that happened, it ended successfully and we were all given high marks for it. A thing about this semester is that I excelled in some subjects more than others. These things happened because of my own decisions and work. I gave my heart and mind into everything that happened this semester. These were the best things that I can do and there is nothing I can do to turn it back again. Five semesters down, three more to go. We’re coming to the conclusion of our own España journey. All I need to do now is to get enrolled for the next semester and as soon as I get back to continue my journey at the university, I’m going to aim for a BIG COMEBACK! Next semester for sure will be a challenge for each and every one of us, I‘ll be coming in smarter to get back stronger.But that is easier said than done. It’s on me to make it all happen. I’m hungry and more determined than ever to come back smarter and stronger. In the meantime, I can now sleep at peace for the rest of our semestral break and enjoy life free from tons of school work and the hassles of waking up early to get to school. Once again CONGRATULATIONS to those whoexcelledat the same time to those who are happy they made it through the struggles of school life. A pat to the back to those who were not so fortunate with the results. Keep the faith and come back next time stronger! We are well under way. Take out the boredom. We are well within the semestral break which will last for the next 3 weeks. It’s an opportunity for the students to take their well-deserved rest after a grueling yet fun first semester of classes. It’s also gives students who live in the provinces to come home to their respective hometowns after living in dormitories or condominiums all-semester long. For me, my semestral break did not start early. As I had to finish some schoolwork that has been left behind after the final examinations. Due to this, I was unable to go back to our province of Batangas to visit my relatives, celebrate the debut of my cousin and spend time in a resort by the Taal Lake and has a great view of Taal Volcano. After that, once I passed everything. My semestral break is now well under way. Of course, the semestral break gave me an opportunity to do things that I was unable to do during the whole semester due to the busy schedule I have all semester long, and that was to play basketball early in the morning or take a jog if other people are playing at the basketball court. It gave me an opportunity to practice my shooting from inside and outside, at the same time it keeps my body active and in good shape. I really hope I can play basketball with my high school friends. It has been a very long time since I stepped on the court with my friends from high school. Aside from that, I really hope in this semestral break, I can secure an original copy the PC version of NBA 2K13. I’m pursuing an original copy, because the last time I purchased which was NBA 2K12. There were a lot of glitches which stalled my progress as I played the game. Though it will be a pain on the pocket if I purchase an original copy. At least, it would be all worth the price. I cannot wait to try out Linsanity playing Rockets uniform. The many roster changes like Dwight Howard and Steve Nash going to the Lakers. Ray Allen in a Heat uniform. Brandon Roy’s return to the NBA and many more. Other things I want to try are the NBA All-Star Game which will be played in Houston. “The Dream Team” and the 2012 USA Olympic Team. The new myTeam mode as well as a reloaded myPlayer mode. NBA 2K has already made a lot of huge steps, from the time they were behind EA’s NBA Live series to being the best basketball game on the planet. I can’t wait to try it out for myself. In the meantime, I will go back to being a child again, because of the Lego Digital Designer we just downloaded to build virtual Lego designs. However, nothing beats building a Lego in real life with the bricks and pieces. Well, The Lego Story on YouTube, shows the history behind a classic. 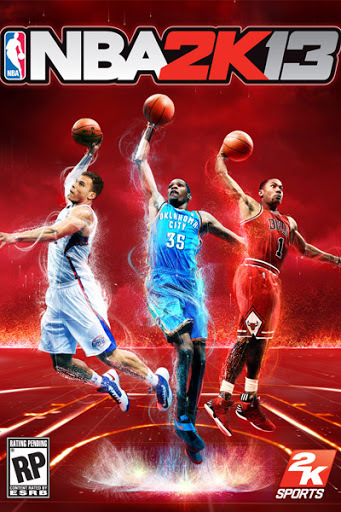 Aside from these, I cannot wait for the the upcoming 2012-13 NBA season, which will begin onOctober 31. This season will be very interesting from the many roster changes that had changed the landscape of the NBA to the new rookies coming into the league. It will also be the debut season of the Brooklyn Nets who moved from New Jersey and are donning new uniforms and a new stadium for the season. Games to watch out are the returns of players to the homecourts of their old teams like Dwight Howard in Orlando. Steve Nash in Phoenix. Ray Allen in Boston. Joe Johnson in Atlanta. Jeremy Lin in New York. Andre Iguodala in Philadelphia. Andrew Bynum in Los Angeles. Brandon Roy in Portland and a host of other players who changed teams this season. Also to watch out are the many rivalry gamesthat will happen all-season long. As well as the returns of injured players in the middle of the season like Derrick Rose, Dwight Howard and Ricky Rubio. As well as the upcoming 2013 NBA All-Star Game to be held in Houston. This upcoming season will be a sure hit. It’s been a couple of days since the semestral break began. I really hope I can make the best out of these days before we head back to school this November. Let’s make the best out of this. Another chapter comes to a close. The first semester of A.Y. 2012-13 at the University of Santo Tomas, has come to an end. This has been a semester full of stories. Stories that I will share with you in this blog entry. I competed in two quiz bees this semester representing the university at this year’s PHILTOA Quiz Beeand the International Tourism and Trade Expo Quiz Bee. As one of the three representatives of the university, it was a great privilege for me to compete for the university in competitions. 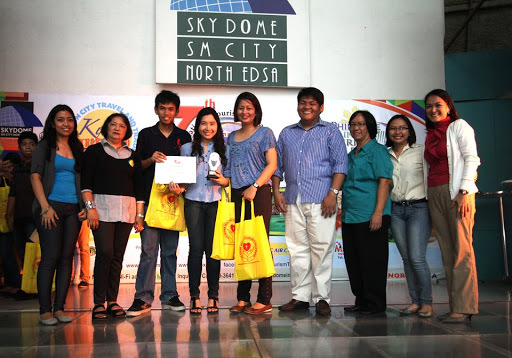 A few days after, we competed at the International Tourism and Trade Expo Quiz Bee at the SM City North EDSA Skydome in Quezon City. This time, we competed as one team. It was a tightly-contested competition. All of our fellow competitors put up a great show. 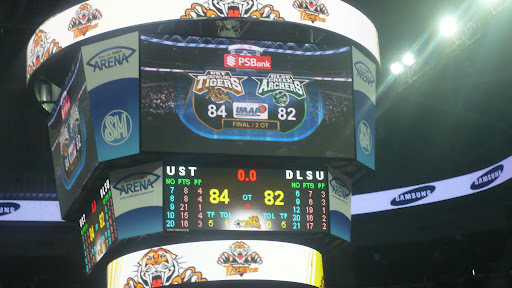 In the end, Team UST came out on top. It was my first quiz bee victory as a college student. The first semester was also marked with our Meetings and Events Management class. Where as one section, one 3T5. We came up with the event entitled “Silhouette: A Glint in the Dark, The Search for the Next Miss Tourism Ambassadress 2012”. As one section, we had to go through at the most, 3 months of conceptualizing, preparation and the final execution of the event itself. From practices, photo shoots, prep work, setting, promotions and marketing, pre-pageant, the event proper, and a lot of things in between, there were a lot of work put on by each and every one in the class. There were a lot of challenges along the way that tested the camaraderie of the entire section to pull off an event that will be remembered by many. Even I had to “play with fire” during the whole process, sharing my own suggestions, even to points where I get into disputes and play the role of a “Devil’s Advocate”. But in the end, all the hard work was all worth it as on one Sunday afternoon on the 23rd of September. It all came down to this event and fortunately, the event was generally a resounding success! Even though the event is finished, my work is not done. As a member of the Documentation committee, my work still continues today until all the documentation work is done and well on their way to the record books. It was also a great learning experience not only for me, but I think of all of us in the class, despite some setbacks and times when it was bad, this experience is considered as one of the best memories of my college life. 3T5 indeed, WE SHINED IN THE DARK. As a huge basketball fan, this UAAP basketball season will be one in the record books, especially if you are coming from UST. The 75th season of the UAAP is in my opinion, one of the best years to be a fan of UST Growling Tigers basketball. Where the Tigers finished 2nd in the elimination round with 10 wins and 4 losses, marking their first 10 win season since 1999. They were also call the “Comeback Cats” of the UAAP as most of their victories came off from coming back from huge deficits. The Tigers punched their ticket to the Finals by defeating the NU Bulldogs in the Final Four where they faced the four-time defending champions, the Ateneo Blue Eagles. Unfortunately, despite a valiant effort by the team and a tightly contested Finals series, the Growling Tigers were unable to repeat their feat in 2006 where they defeated the Blue Eagles coming back from a 0-1 deficit to take the championship. The Blue Eagles would sweep the series 2-0 on their way to a 5th consecutive UAAP men’s basketball title. This season for me, I was able to watch 3 games. The first one was the 1st round battle between the Growling Tigers and the De La Salle Green Archers in the very first meeting between the Teng brothers in the UAAP as UST’s Jeric faced off against his younger brother DLSU’s Jeron. It was also my first game watching from the Patron side of the court, and I watched it together with one of my previous professors in UST who had his education in La Salle and we share Claretian roots. The gamewas tightly contested and went into two overtimes, before the Tigers would pull away for an 84-82 victory. 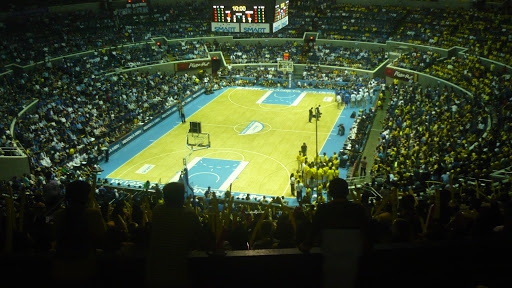 I was able to watch both games of the UAAP Finals between UST and Ateneo, both on the nosebleed sections of the arena (Game 1 at the Mall of Asia Arena, Game 2.at the Smart Araneta Coliseum). In both games, I was able to watch them with my fellow blockmates. Two years ago and last year, I would not expect them to watch a basketball game, but now it has happened and I thank them for it. Aside from them, I also saw my other friends around the arena and outside before and after the games. Whether the game ends in victory or defeat. Nothing beats the Thomasian crowd during the game. From the thousands of Thomasian students, faculty and alumni who come to watch the games to the trademark “Go USTe!” cheer accompanied by yellow ballons as well as the loud roars and cheers from the crowd. Even a flashback from the 1990s with the Thomasian wave inside the arena during timeouts. Watching UST games this season has been a rewarding one for me, it’s a great feeling every time you watch a game live together with your friends and the entire Thomasian community in attendance at the games. I hope next season, we can do this again and the crown will go back to España! 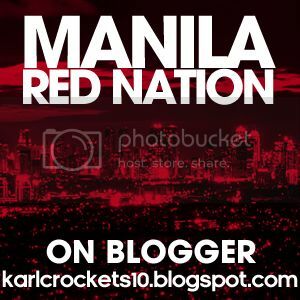 In times where there are no games at MOA Arena or at the Big Dome, and times when I’m not competing in a contest. A lot of other things has happened both inside the classroom and around campus. Inside the classroom, every subject this year has been a challenge. With most of the free time being used for the preparation of the event we organized this semester. It has been a tough challenge to take time and focus on other subjects. From the continuation of learning the French language to the calculations made in Accounting class. From the life lessons of PDSR class to the responsible acts for the environment in Ecotourism class. Even a visit on a passenger vessel for one of our school projects. Every subject this semester, has tested each and every one of us to the limit. I had to endure times of brilliance as well as times of misery, all semester long. I’m hoping I can make it back alive and well, and be back better than ever once the next semester comes. Around campus a lot of things has also happened as well. There were plenty of suspension of classes due to bad weather and flooding not only inside and around the campus, but also in other places across the metropolis. It caused our semestral break to start a full week late than expected and also caused the postponement of the.annual Thomasian Welcome Walk for our freshies, not once, not twice, but three times when the freshies finally. get to pass the arch on September 24. Another defining moment around campus this semester was when Queen Sofia of Spain made her visit to the UST campus. I was one of the thousands of Thomasians who were there to see her during her visit. But before the convoy arrived, a crew from Solar News arrived and asked UST students about the queen’s visit and I was one of those who were interviewed. Unfortunately, when I checked their news program later that day. They did not show it on television. Fortunately, a friend of mine took this photo when I was interviewed by the news crew. Also, it was a great honor to meet the players of UST around campus. Finally, after almost 2 years and a semester in campus. I got myself pictures with two members of the Growling Tigers. 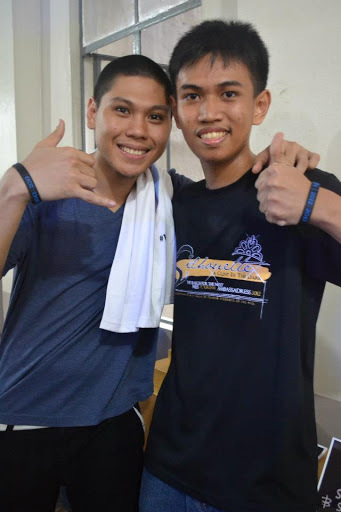 First, with the graduating court general, “The Captain” Jeric Fortuna. Second with dead-eye shooter Clark “Tata” Bautista. Just like previous years, I also see other UST players around campus like Aljon Mariano, Karim Abdul, Kevin Ferrer, Kim Lo and the rest of the team. 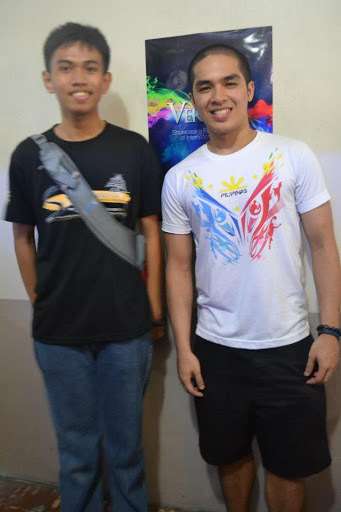 Two moments I won’t forget this semester was when I saw Jeric Teng the daybefore Game 1 of the UAAP Finals. I said to him “Good luck bukas!” “Good luck tomorrow!”He replied by saying “Thank You!” and seeing UST coach Pido Jarencio inside the UST Chapel as I was saying my prayers. I also got to meet a lot of friends this semester, not only inside of our own college CTHM. But also, in other colleges of the university. It’s always a great feeling to get out of your normal comfort zone and step out to meet a lot of people along the way. Yes, my 5th semester as a Thomasian Travel Management student has come to an eventful end. Now begins, the semestral break which will last for three weeks. However, one week from now, the grades will be out, and the following week, it’s time to enroll for the next semester. I really hope for the best as this chapter of “My España journey” closes and a new chapter begins very soon. Right now, I can finally take that long and deserving rest from all the fun and challenges brought by this semester. 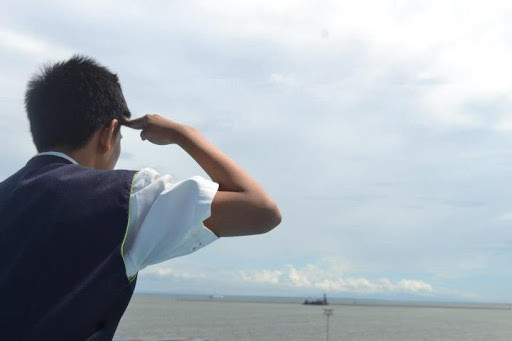 To cap off everything, I take one final salute by the Manila Bay.